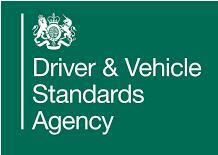 Regarding our news below of the recording of, lets say ‘weekly duties other than driving’, we hear from the DVSA their is a clarification document coming soon re Commission Clarification Note 7 – which looks at this very subject, so as soon as we get it we’ll let everyone know on here !!!! 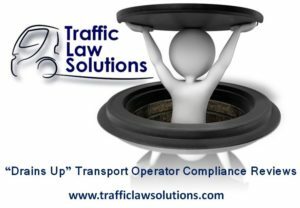 Drivers Hours – When should you keep records? We have decided to look more closely at a point that concerned us as former Enforcement Officers and the same point concerns and often confuses many Operators even now. This Article looks specifically on what Days are required to be recorded to comply with Regulation EC561/2006 and Regulation EU165/2014. 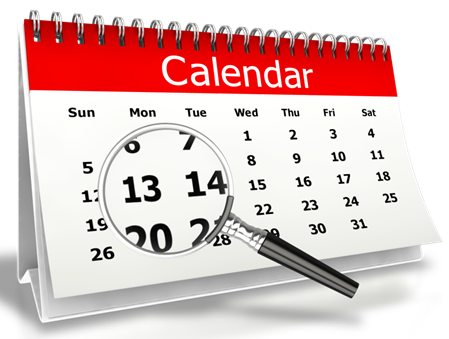 Non-working days, such as weekends and days off, do not need to be recorded. Drivers must record all other work on all driving and non-driving days within a week where they have undertaken EC- regulated driving since their last weekly rest. For example, a driver who works in the office Monday and Tuesday then drives an in-scope vehicle on Wednesday of the same week must complete records for Monday and Tuesday manually. For a start, the phrase “week” is not clarified but, as only the Fixed Week is defined under EC Regulation (in effect Monday to Sunday), then we must suppose it is that. Clearly “Days Off” are excluded from recording requirements – clear enough. All Driving and all Other Work must be recorded since their last Weekly Rest. That seems clear. In the example, Monday and Tuesday would need to be recorded manually (Other Work) as the “In Scope” driving on Wednesday act as a trigger for that week. Again seems clear enough. So one minute of Driving under EC Regulation would seem to bring the whole Fixed week into the requirement of being recorded. Seems straightforward although the Blog example also does not say what happens to the rest of the days in the Fixed Week, after the driving on the Wednesday. 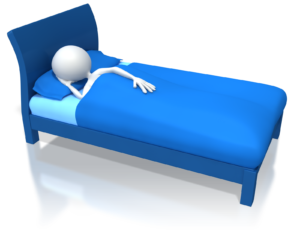 The last weekly rest period is not given in the example although it is presumed to be Saturday and Sunday. The Fixed Week and the phrase since their last Weekly Rest seem to be potentially conflicting or overlapping. Whilst on the face of it this is clear guidance but is it really? Here come the “buts”…. A driver shall record as other work any time spent as described in Article 4(e) as well as any time spent driving a vehicle used for commercial operations not falling within the scope of this Regulation, and shall record any periods of availability, as defined in Article 15(3)(c) of Regulation (EEC) No 3821/85, since his last daily or weekly rest period. This record shall be entered either manually on a record sheet, a printout or by use of manual input facilities on recording equipment. The crucial thing to look at here is that the actual Regulation says “since his last daily or weekly rest period”. The DVSA Blog makes no mention of Daily Rest periods, just “since their last Weekly Rest”. Does this have a potential impact? In our opinion it certainly does as the implication given in the Blog Post is that only a Drivers Weekly Rest period is a “reset point” for the requirement to keep records for days when In Scope driving has not taken place. So, if a Weekly Rest period can be a “reset point”, why can’t a Daily rest period be the same? This is what is seems to be implied in Article 6(5) which is what the Blog is based on. So, lets apply the “Daily Rest reset point” theory to the example above. If the driver has a valid Daily Rest between the Office Work on the Tuesday and the commencement of duty on what would be an In Scope day on Wednesday, then Monday and Tuesday would not need to be recorded. The argument is based on the point that the Daily Rest Period between Tuesday and Wednesday is the “reset point”, just as the Weekly Rest period was in the Blog Post example. However, the implication from the Blog is that all activity, in and out of scope, would continue to be required to be recorded until the end of the Fixed Week (Sunday night) or until another Weekly Rest takes place which would act as a further “reset point” for recording purposes. So that was the position in February 2014. What about now? Section 4 relates to “Tachograph Rules” and further down the page is 4.3 – Common Rules. Navigating down the page there is the section entitled “Recording Other Work”, it says ……. During a week in which in-scope driving has taken place, any previous work ( including out-of scope driving) since the last daily or weekly rest period ( taken in accordance with either the EU drivers’ hours or working time rules), would have to be recorded as ‘other work’ on a tachograph chart, printout or manual entry using the manual input facility of a digital tachograph chart, or a legally required GB domestic record on a log book. When this is compared to the February 2014 Blog post, it can be seen that it mirrors Article 6(5) far more closely than the Blog had done, especially as it included the phrase:”since the last Daily Rest” as well as the phrase Weekly Rest. This would appear crucial as this strengthens the case to suggest that a Daily rest period can now be considered a “reset point” for recording purposes as well as a Weekly Rest period. “that only days when IN SCOPE driving has taken place now require to be recorded”. In other words, a legal Daily Rest period and a Legal Weekly Rest Period are both “reset points” for the purpose of having to record activity. So, a Driver who drives IN SCOPE of Regulation EC561/2006 and Regulation EU165/2014 only has to record that day’s events providing that either a Legal Daily or Weekly Rest period is taken before and after the day that included IN SCOPE driving. Rest Day – Rest days not required to be recorded. 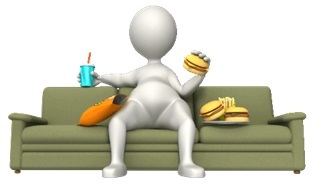 Rest Day – Rest days not required to be recorded. Recording Reset point activated by Weekly Rest Period. Monday Office 0900-1700 – not required to be recorded as NO In Scope activity has taken place a Weekly Rest has been taken on Saturday and Sunday. EC IN SCOPE Day 0400-1600 (1700 Monday to 0400 Tuesday is regular Daily Rest) and so this Day requires to be recorded in full. 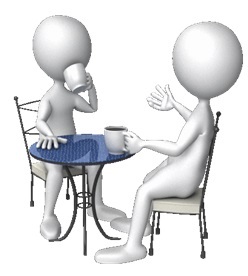 Wednesday 0900-1700 – Office – Recording Reset point activated by Daily Rest period that hasbeen taken between 1600 (Tuesday) and 0900 (Wednesday) and thus Wednesday does not need to be recorded as NO In scope driving took place on that day. We hope that this has clarified the picture as there appears to be an awful lot of confusion in respect of this particular requirement and given the way that Article 6(5) is written, that’s not really surprising. The current stance from the DVSA seems a very sensible one and it’s a stance that a vast number of Drivers and Operators will be able to understand and comply with. Just as we were thinking we are safe for Christmas, another scramble, to an Operator needing an Audit for the Traffic Commissioner following a DVSA visit. Think ahead and get one done for a spring clean. Dave and Neil. Thanks to all who attended our unique 3 day Transport Manager Compliance Course (Refresher) this last week in Manchester. Congratulations for all getting over 90% in the transfer of knowledge tasks. We weren’t too disrupted by the Conservative Party Conference. Remember that we are always available to support you, so do keep in touch. This article only looks at those Drivers who operate under EC Drivers Hours Rules. “Breaks” and the Working Time Directive – we are going to call it the Working Time Directive so those of you who are reading this and want to contact us and go on about the RTD – don’t. Most drivers and Operators call it the Working Time Directive: hence our title. Working Time = Driving + OTHER WORK. Breaks = Breaks and DO NOT include PERIODS OF AVAILABILITY. Easy so far…. Well it does not get any harder. A driver cannot work for more than SIX hours without taking a BREAK. Once that 15 minute has been taken, it in effect “resets” the Drivers Continuous Working Clock and there the driver can then complete another maximum period of 6 hours straight (of Working Time) before another Break is needed. That BREAK can also be 15 minutes. If during the course of a Spreadover, a Driver accumulates between 6 and 9 hours of Working Time then that Driver must show BREAKS totalling at least 30 minutes INSIDE that Spreadover. The BREAKS have to be within the spreadover and therefore Daily and Weekly rest periods DO NOT COUNT – BREAKS are there in effect to “BREAK UP” the Drivers day. If, during the course of a Spreadover, a Driver accumulates over 9 hours of Working Time then that Driver must show BREAKS totalling at least 45 minutes inside that Spreadover. As in BREAK RULE 1 – these breaks only need to be at least 15 minutes long to Qualify as BREAKS under the Working Time Directive. Therefore breaks of 18 and 27 minutes would not be enough for a 4 ½ hours Driving Breaks (as the 27 minutes would need to be 30 minutes) but the 18 and 27 would be enough for the 45 minutes under the WTD as they add up to 45 minutes. So for Break Rule 2, simply add up the amount of Working Time accumulated and decide if it’s in Group 6 to 9 or in the Group above 9 and take the required breaks relevant to that period. A Couple of things to remember that don’t make this any more complicated! Breaks that a Drivers takes under EC Driver Hours Rules Count towards Working Time Directive breaks as well and vice versa – but remember the “qualifying Break limits” are slightly different under both sets of Regulations. So, if you think about it, the maximum break time that’s ever required to comply with RULE 2 is 45 minutes. Therefore, if you take a single 45 minute break under EC Drivers Hours (for the 4 ½ hours Driving rule), then you automatically comply with Break Rule 2. End of. The 4 ½ hour Driving Rule in the Drivers Hours rules allows breaks to be split into a 15 followed by a 30. If you do that, then each of those breaks will reset the SIX HOUR Clock as every 15 minute break resets the 6 hour cycle. 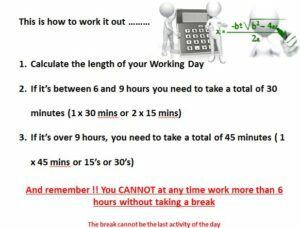 Those same 15 and 30 minute breaks add up to 45 minutes which is the largest period of BREAK TIME required to comply with BREAK RULE 2. “You have to work at least for an hour before you can take a break” — Rubbish – you can take a break after a minute and if that break is 15 minutes you then start a new 6 hour maximum. “All Breaks have to be at least 30 minutes long” — Rubbish – minimum qualifying breaks are 15 minutes. “If I accumulate 12 hours of Working Time, I have to take 30 minutes of breaks before the 9 hour point and 15 minutes after then” — Rubbish – if you accumulate 12 hours of Working time the Law says you have to show 45 minutes of breaks somewhere INSIDE THAT SPREADOVER – it does not say WHERE in that spread you need to take them. 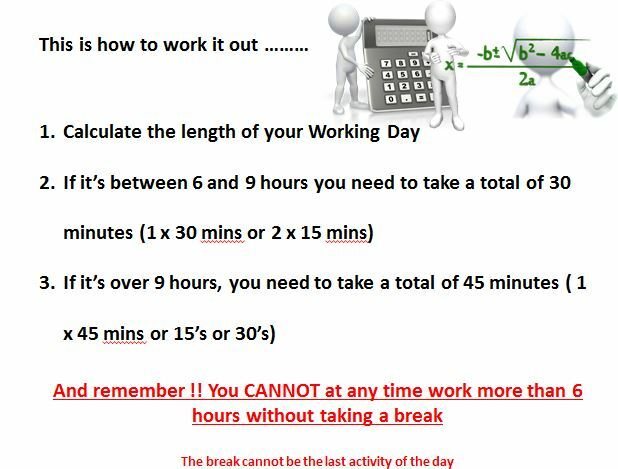 “POA counts as a break under the Working Time Directive” – Oh no it doesn’t. “The Working Time Directive does not apply in Northern Ireland !” – OH YES IT DOES ! If you have any questions about the Working Time Directive, drop us an Email and we will get back to you. The Senior Traffic Commissioner – Statutory Documents have just been amended again on 23rd September 2017 this time by the new Senior Traffic Commissioner Richard Turfitt. The document has some 14 chapters and is over 400 pages in length so we’d suggest not printing it out – remember the Amazon Rain Forest ! and there doesn’t seem point in printing it out as it looks like its getting amended quite often. It’s the TC’s guide to operators on how to run a Transport Operation basically. Chapter 3 refers to Transport Managers. Two Public Inquiries this last month which saw the return of Traffic Commissioner Beverley Bell. 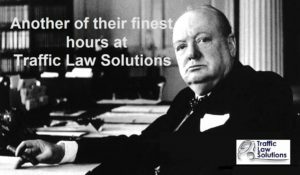 Had the pleasure again of working with an exceptional legal team which saw the operator quite rightly, retaining their licence and their repute with no conditions. Lesson to be learned – just because the DVSA take you to a Public Inquiry really doesn’t mean its right. At a meeting last week, a senior representative from the DVSA informed the audience that Officers of the DVSA would soon start prosecuting drivers who took Regular Weekly Rest periods, in their vehicles, when not at base. So, if we look at this issue, is it as clear as the DVSA make out? In our opinion, it’s not – well not quite! 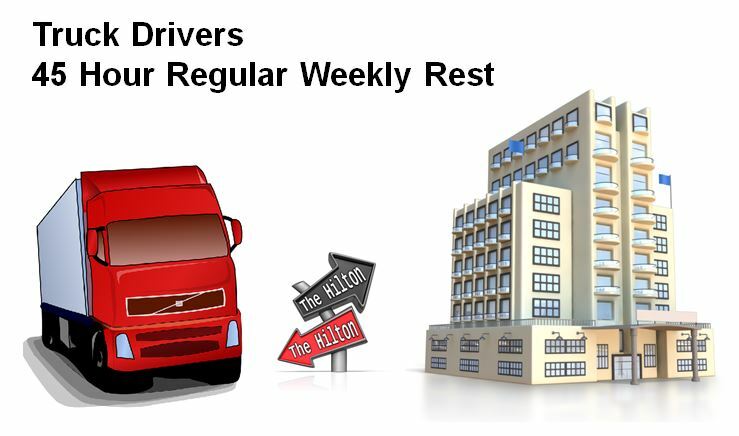 8(8) Where a driver chooses to do this, daily rest periods and reduced weekly rest periods away from base may be taken in a vehicle, as long as it has suitable sleeping facilities for each driver and the vehicle is stationary. So, on first glance, the Regulations do not say what a Driver can’t not do, only what they “can” or “may” do. Most regulations will usually say “It will be an offence to / Fail to conform to” and the like and the EC Drivers hours rules often use the terms “may be extended to / must / at most”. It would have been different had 8(8) said “Regular Weekly Rest periods may not be taken in the vehicle when away from base” – as this creates an offence with the strong implication that Reduced Weekly Rest periods are exempt from the rule. As 8(8) currently stands, it almost seems that it is the exemption to the Rule that has been written down, rather than the rule / regulation that must be adhered to. In February this year, following a legal dispute in Belgium, the European Court, ruled on by that well known Bulgarian advocate – Evgeni Tanchev, decided that if the regulation had wished to bring “Regular Weekly Rests” into 8(8) it would have said so, hence the infringement is created. This would now appear to have been firmed up by the EU Mobility Package on Road Transport from May 2017. This package also says that suitable accommodation is not the cab and has to be paid for by the Operator – so sleeping in a tent or sleeping bag under the truck is a non starter! Perhaps not surprisingly there is contradiction with his view. 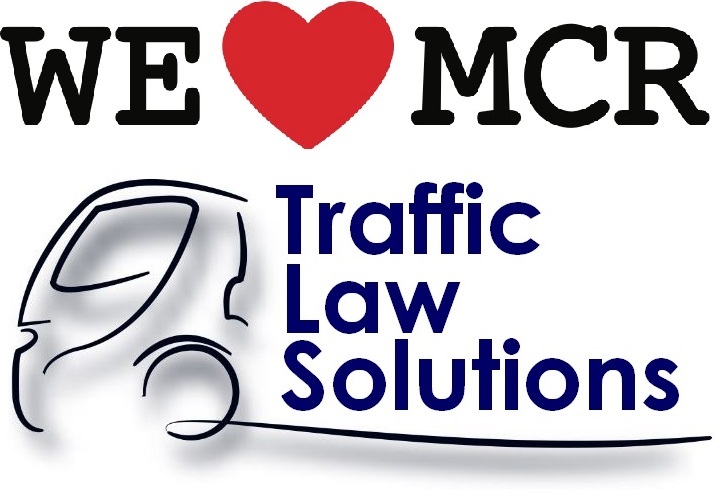 In the latest directive from the EC regarding ranking of Drivers Hours Infringements as “Most Serious / Very Serious / Serious” (Commission Regulation (EU) 2016/403), breaching regulation 8(8) does not even appear and a search for the word “base” returns a negative result. Both references in that Document refer to either “less than 45” or “less than 24”. There is no reference to taking “more than 45” which, as far as we can see, would be needed to prosecute this offence. Hence the planned amendment in the Mobility package – to remove the ambiguity!!! So it would appear that the EU almost tacitly accept that there is a problem enforcing it at the moment.Enforcement officers in France have been issuing fines in the region of Euros 1800 – that may not surprise many UK hauliers. 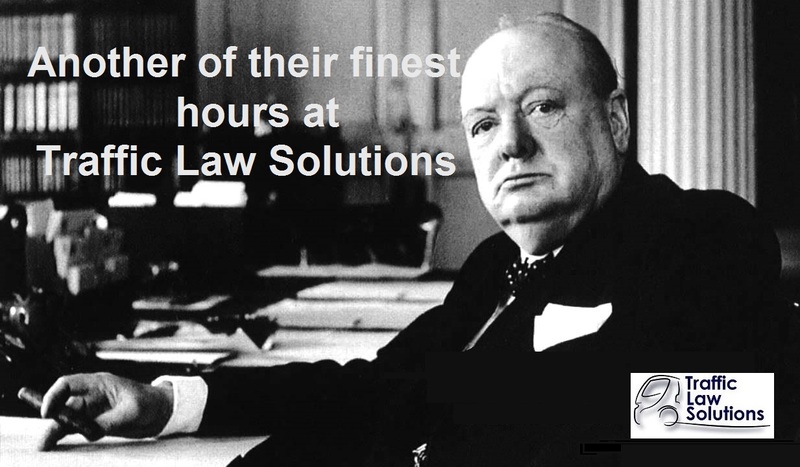 So that’s the legal bit – how about practicalities? There is also a significant issue as regards Enforcement. This “infringement” would be historic by its very nature. When the DVSA examine a drivers records at the roadside, every period of Weekly Rest above 45 hours would become a potential offence: every single one. It would require a possibly significant dialogue between the TE and driver to establish what was an offence and what was not. If that Driver cannot speak English, this throws up even more problems. This of course ignores another major issue in that, currently, Digital Tachographs do not give specific locations (yes we know about the Claims from Continental/ VDO). “Sorry officer I was sleeping in my truck at the base”. Let’s say that Jaques is an owner Driver who starts work at 06:00 every Monday and finishes, religiously, at 06:00 every Saturday. He therefore has 48 hours Weekly Rest, every weekend – he never reduces. So, as a break from his normal routine, he comes to the UK and he misses his Ferry back to France. So Jaques, decides to take his Regular Weekly Rest period, starting at 06:00 on the Saturday, in GB, in his cab. His Ferry is due to leave at 07:00 on the Monday morning with a potential 49 hours off. At 06:30, whilst still on the Rest period, he is checked by the DVSA and prosecuted for taking a Regular Weekly Rest period, in his cab, away from base. He is being prosecuted, in effect, for taking too much rest! So, the next month, exactly the same happens again but, on this occasion, Jaques deliberately cleans his number plates on the Sunday morning and correctly enters 5 minutes of OTHER WORK onto the Tachograph. He is therefore interrupting the Regular Weekly rest period and therefore is now complying with the law as he will have recorded at least 1 and possibly even 2 reduced Weekly Rest periods. The fact that he would take a 45 in the next “Fixed Week” is no inconvenience to him as he always does that. So he complies with the law but not the spirit of the law! What happens in a similar situation when a Driver fully intends being compliant by taking less than 45 hours but oversleeps? Forgetting about Drunk in Charge, what if Jaques decides to take a couple more hours off which would take him over the 45 hour figure – just to make sure he was under the limit. Is he forced to drive off in order to comply with 8(8) and risk being over the limit? The intention of 8(8) is relatively clear and its to make sure that Drivers are not exploited to the fact that they are always away from home on the longer weekly rest period and away from their families. Cabotage covers the other point most people think that 8(8) is there for. Like many EU / EC regulations, 8(8) is poorly written and in its current form could well be open to challenge.